BPC Green Builders is very proud to be selected and recommended by clients, architects, and industry professionals. Click Here or scroll down to find the testimonials from building and design professionals. “ We highly recommend Mike Trolle and BPC Green Builders as an excellent general contracting firm. Mike’s thorough knowledge of excellent green, efficient homes enables him to deliver a beautifully constructed and comfortable home that we are so thrilled and pleased to live in. 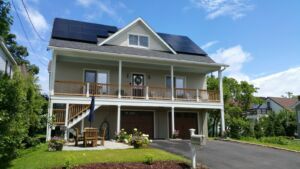 After my husband and I decided to build a green home we were fortunate to find Mike Trolle and BPC Green Builders. We didn’t have many choices for the general contractor and we took a leap of faith with Mike. He has far exceeded our expectations in the building of our 6,000 square foot home with a separate apartment. 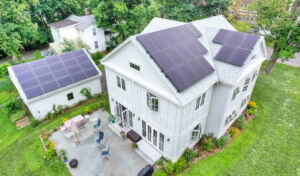 Mike is very knowledgeable about how to build a green home and he made it all happen and on schedule. He was able to translate for us all the details necessary to build a green home and we were able to participate in the process every step of the way. Mike is eminently suited to his position as he is very calm, has excellent communication skills, can handle the multitude of detail that comes with building this type of home and his conduct includes the highest sense of ethics, integrity and honesty. Mike bent over backward to satisfy our requests/requirements. His expectations for all of his contractors were extremely high and they did not disappoint as the project moved along. Mike was available anytime we needed him and he would respond almost immediately including the weekends as the work progressed – he was instrumental in making sure every last detail was accomplished. We are enjoying very much living in our new home. It is warm, comfortable, beautifully designed and built and all the installed systems make it highly efficient. “I wanted to take a moment to let you know what a pleasure it is to live in your Health House! We always enjoy living here but with the recent frigid temperatures it is so comfortable to be in our home. Oh, the windows all worked out perfectly. If one is lucky, there are a few times in life when one can look back over a job, a project, or an adventure taken, that was well worth the time, the effort, and the expense. Such was the case for my wife Carolyn and me, when we decided to stop house hunting in 2008, and start doing a complete re-model of our house in Ridgefield. Thanks to the creative design of architect Douglas Cutler, and the dedicated and visionary guidance and management of Mike Trolle and BPC Green Builders; we took my wife’s small 1940’s cape, and transformed into a beautiful, modern, comfortable, Energy Star Rated home. 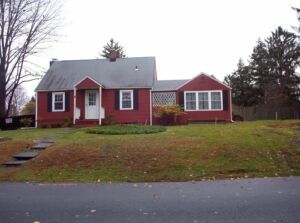 This is our house in the fall of 2008. Mike led us through the extensive demolition and gutting of the original structure, down to the bare bones of the cape, minus the breezeway and garage/playroom. 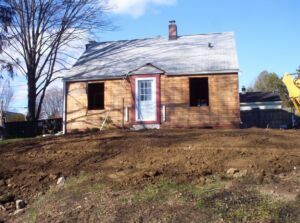 Here is what our little house looked like after the demolition phase. The process was lengthy, but we learned a lot about green building, energy loss, and the “building envelope.” All of Mike’s suggestions and many of our own were incorporated into a new structure with very high R-value in the walls and the roof. The new structure was also very air-tight to prevent heat loss. The final result, circa June 2009, can be seen below. We went from a small 1,400 square foot cape, to a new modern 2,200 square foot home, all while cutting our heating and cooling expenses in half. Besides the energy savings then and now, there is not a day that we do not return to our street and smile at the beautiful home that Mike and his team helped us to create. It was a job well done and money well spent. “Jeff, our onsite manager, was always available during the six month construction period to answer questions, suggest options and fix problems. The subcontractors BPC selected were top of the line, great craftsmanship from the rough carpentry to the finished tile work. “This is a letter of the highest recommendation for BPC Green Builders. Mike Trolle has an incredible fund of building knowledge. He is an understandable teacher who guided us through developing a plan to rebuild and green our house within our budget. BPC’s philosophy is start with as tight a building envelope as possible and go from there. Mike had enormous patience presenting options and discussing cost, environmental and practical and design factors. He even conducted an email discussion about the placement of a piece of trim while on vacation in Spain. Jeff, our onsite manager, was always available during the six month construction period to answer questions, suggest options and fix problems. The subcontractors BPC selected were top of the line, great craftsmanship from the rough carpentry to the finished tile work. We now have a beautiful, green, Energy Star certified house; a nicer house than I ever in my life expected to be able to have. 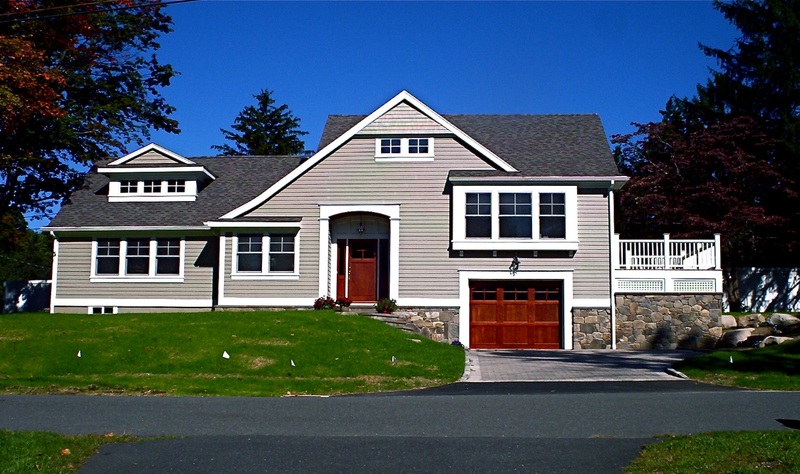 “Mike built us a custom high end modern house in Ridgefield CT, and we would recommend him without reservations. It’s been four months since we moved in, and the house is beautiful and extremely comfortable despite a cold, windy and stormy winter. The house is almost 40% glass, and has about 5000+sf of conditioned space, but our heating costs are estimated to be a touch over 1K per year. The process was so much fun that we would almost be tempted to build another house now…except that we do love our house. 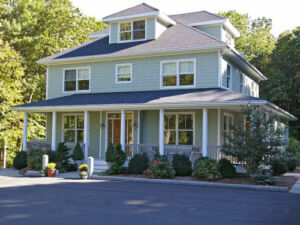 BPC Green Builder’s focus is on building energy efficient, sustainable, healthy homes. But as you can see from the description below, this was just one of considerations for us when choosing a builder. Mike is an extremely capable builder who is also 10x better than any of the consultants on building a green house we talked to prior to choosing him. We have also seen one other house done in a more traditional style, and if it can be built well Mike can do it. Trust: We started looking for builders after designing the house. We bid it out to 4 other builders and almost dropped BPC when they refused to bid on our project. It is not that they had another project lined up (this was 2009). They just don’t feel comfortable with the adversarial relationship that a bid process generates. To win it you have to low ball it, and then you have to make up for it by charging for change orders or for things which were not fully detailed in the bid (for which there will inevitably be lots!). The builder’s incentives then become to skimp on quality (particularly for the non aesthetic structural things which you will not see). Mike instead works on a management fee. He created a budget, and during the whole process he was a partner. Mike laid out options allowing us to choose every step of the way. The various stages of the construction are bid out to subcontractors, and we had full transparency on costs. Nothing during the process led us to ever question Mike’s honesty and transparency. The bottom line is that no matter what contract structure you chose, the builder will have opportunities to abuse your trust. Finding someone you are comfortable with makes all the difference. Working with Mike: Mike was AWAYS AVAILABLE. Our house was his primary job for a year and there was NEVER a time that we felt that when we needed him he was not available. He is reasonable. He is a great problem solver. Down to earth, and extremely easy to talk to. E-mails were detailed. Site meetings were great, etc. Awesome. Quality: We picked BPC because we wanted more than an aesthetically beautiful house. We wanted a structurally sound house. We wanted to have no water leaks, no mold, and no air quality issues (we have respiratory issues AND pets). We also cared to make sure that we would fully consider the environmental impacts of building the house, but for such a huge investment we really wanted sound construction. Mike and Chris passion is quality in this sense of the word. And it was clear from day one when we spoke to them, and it was clear through out the process that focusing on making sure that house was air tight, that water would drain properly and that structurally the construction was sound was a priority. Mike spent an incredible amount of time at the construction site, making sure that the various trades conformed to his standards. And of course he recommend contractors that could deliver. Unlike most builders Mike has not only the experience of having built homes for a long time, but also the scientific knowledge to assess and incorporate the latest technologies in the industry. From an aesthetic perspective the execution was very good as well. 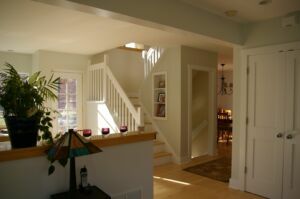 Mike had never built a modern house, and that there is a lot less room to hide imperfections (we opted for drywall returns instead of window moldings for example), so this was a challenging house. We have a beautiful house. And one that is unlikely to give us headaches. Cost: Mikes management fees were in line with, or less than other high end builders we interviewed. However, to be honest we have no way to know whether the total house would have cost more or less working with someone else. And given the choice between a little less money and less structural and aesthetic quality we are happy to pay up (and pretty much knew what we were paying for in terms of insulation, or structural elements). Did the house come in on budget? No. 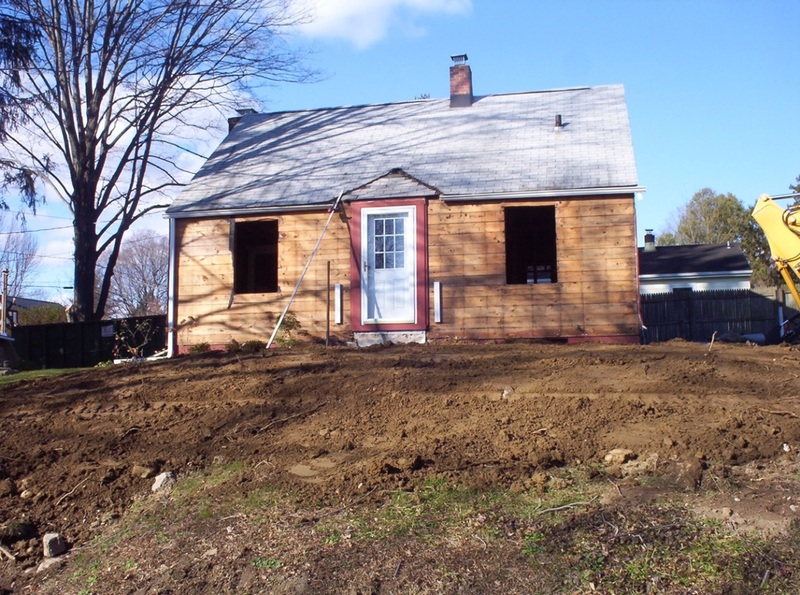 This was a new construction and a very high percentage of the house was on earth work (to get the site ready for the house), which turned out to be more expensive than expected. All of the bids had provisions for this, so our best guess is that these costs had to be born out regardless of who built the house. We also of course ended up choosing a lot of things that were not listed (which probably would have killed us if we had contracted for a price). Ultimately I think that the pricing process was good and fair. Mike would scope out the work and bid out to 2-3 contractors (some of which were at times people our architect recommended or we found some other way – but always people that he believed could do the job after discussing with them). We would then chose between the bids (sometimes not choosing the cheapest based on Mike’s recommendation on quality). Inevitably when unexpected things came up, he made sure that the various contractors were not screwed…and in return the people working in our project were hard working, professional, and extremely qualified contractors. If building a house the cheapest possible way you can by squeezing every penny out of subcontractors is the way you want to build…Mike is probably not your guy. You will also almost certainly hate the building process and so will everyone working on your house. As said before we had total and complete transparency on costs, which you will never have in a bid out process. So we knew exactly what went into our house. The only thing I think Mike could have done better on this is giving us a realistic range from the beginning, but I am not sure whether our particular project (being very custom, having a lot excavation work, and having construction drawings that were probably less developed than typical) played a role. Time: Expectations were that the house would be ready in about 12 months (though we never asked for a precise guarantee…). We moved in 13 months after we started, and there was a lot of work being done for about 6-8 weeks after. In retrospect we should have waited another month to move in (and would have if we had understood how much would happen after we moved in). Time was the least critical element for us. And we know that the more time pressure you put on your builder the more either cost or quality will suffer. We did not know Mike prior to building our house and have no reason to recommend him other than for the great job he did on our project. If you are considering going on the same journey, we are happy to discuss and answer questions. “I want to update you on our experience with our “new” house since we reoccupied it last July and the work was completed in September. Last winter, as you know, was a cold and snowy season. It has been followed by an exceptionally hot and humid summer. The mechanical system and enhanced insulation value you recommended and installed as part of our renovation project, has kept our indoor temperature at comfortable levels. Of equal importance, we have experienced a healthier relative humidity level without the need for a whole-house humidifier and its associated maintenance. In the past we found that our nasal passages, skin and even hair would dry out in the winter months until we became accustomed to the heat. This heating season, we did not require the typical adjustment period due to the excessively drying nature of oil-based central heat. We have also maintained our comfortable interior living environment throughout this year’s hot and humid summer months. With the benefits of the energy recovery ventilator – constant fresh air with minimal humidity, our air conditioning unit has run only a portion of the day – when the temperature and relative humidity are exceptionally high. Our three zone design allows us to keep each floor at a comfortable level, based upon our various indoor activities and the occupants’ needs. We were motivated to undertake as part of the renovation project, the extensive replacement of our mechanical system, including duct work, in large part due to our son’s allergies. He has survived this allergy season with only occasional antihistamines. He was on allergy shots for the past 6 years, and it was always planned that he would end the shots this year. We are pleased that he has successfully ended the shots with no negative effects. While our allergist told us that this would be the case, we are comforted to know that we have made numerous improvements in our home that would help anyone prone to seasonal allergies to better survive the allergy season. “We are truly amazed with our new “No Compromise” home. I can’t say enough about how pleased we are with the performance of all the features this house has. My husband has been plagued with allergies all his life but to date this fresh air exchange and the electronic air cleaner has helped 100%. His symptoms are dramatically reduced, if only he did not have to leave the house. This feature also helps to keep the house a lot cleaner. I’ve noticed a lot less dust on the furniture. My indoor plants also love it. They seem to thrive in this fresh air. This brings up another thing I love: The way the house is sited on the property. Mike has placed it in such a way that we do not have a direct hit from the sun. We have wonderful windows that are not only energy efficient but let the beauty of nature in the home without the heat that could come with it. They work such that you can clean them without ever going outside. My sister loves to visit here for she also is plagued with breathing problems and is up a lot during the night, not sleeping well. When she is here, however, I have to wake her at 11:00 am so we can start our day. She sleeps better here. The house has a great effect on people for it is bright and cheerful. It has a lightness to it no other house I’ve owned has had. Mike could not have picked a more tranquil setting. Even though we are close to a road you would never know it with the way he used the lay of the land to hide that fact. I happen to agree with one of Mike’s philosophies about not having any closed areas such as the basement and attic. Let them breathe and be ventilated like the rest of the house. It makes the whole house usable and healthy. Less mold and moisture the better we all are. 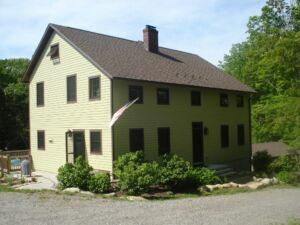 With regard to the oil usage, we used 1182 gallons in Harvard, MA in the winter of 2003-2004 versus 531 gallons at the Redding house in 2004-2005. There is no comparison really, as our old house was not well insulated, drafty, and not at all fuel efficient. We love the house here in Redding not only because of the privacy it affords, but the care you took in building it. It is very air tight, and the fuel oil usage clearly demonstrates that fact. “It has been a little more than one year since we moved into our new home. In that time, we have been able to compare the experience of living in a high performance home versus the experience of living in our last house, which was built in a conventional manner. From an energy efficiency perspective, we are very pleased. As you know, our new home is heated and cooled with an all-electric ground source heat pump, which also provides a boost to the electric water heater. Our electric bills in our new house, including space heating in our basement playroom, forced hot air heating and summertime cooling, water heating, and household lights and appliances are not significantly greater than the cost of our gas bill in our last house for natural gas heating and cooking. In the past; however, we also had an additional electric bill, so our total utility savings over time has been significant. From a comfort perspective, we are very satisfied. The temperature in the house, summer and winter, remains remarkably stable. The cold spots and drafts that characterized our last house are completely absent in our new home. The dry winter conditions and damp summer conditions that characterized our last house are controlled in our new home, without humidifiers of any kind. From a health perspective, our experience has also been good. As you know, we have family members who suffer from asthma and mold allergies, and we wanted our new home to help control the trigger conditions that affect their health. Since the move, the frequency of attacks for both family members has decreased significantly, and their need for medication has gone down, as well. Without question, our healthy home has played an important role in the improvement of their health. No longer do we spend time cleaning mold from the bathroom tiles and the window frames. The house smells clean and fresh. In addition to these engineering features, our new home is beautiful! We get many compliments on the design, both inside and out. 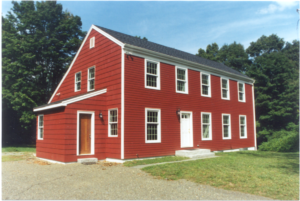 Bethany neighbors have told us how pleased they are we built a house that respects the traditional New England architecture of an old farming community. BPC also helped us to site our new home for the best passive solar efficiency, light and views, as well as aesthetic use of the landscape. “To anyone who is considering building a new home, renovating an existing one, or someone who would just like the comfort of a home that will keep a consistent temperature twelve months a year, then Chris & Mike Trolle at BPC are the men to talk to. My wife and I Met Chris & Mike in 2001, just as we were beginning the planning stages of our new home. It was immediately apparent to us that they understood the way a home should be built and, most importantly, insulated and conditioned to control air quality and humidity. My largest concern was the home’s warmth and the quality of the air for my children. Chris worked with both my wife and me from the ground up as a consultant who helped us to subcontract for the heating/air conditioning, as well as for the insulation of the home. He was there to meet with all of my subs whenever he or I had concerns about the way the home was being constructed, from the earliest stages of construction, such as air sealing the rough exterior walls, to the final stages of ensuring that the heating system and the ERV (energy recovery ventilator, which controls the humidity in the home at MY desired humidity level) worked well together. The home is super tight yet breathes!! Before I built this home, I would get Eczema in the winter due to our old home’s dry indoor air. Not any more. 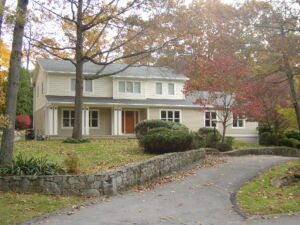 Construction of the home ended in the summer of 2003, just eleven months after we began. It is now nearly April of 2004, and I went through the entire winter without any dry skin as I had experienced in the past. To this day, the plumber who I used still can’t believe that we are only using 3 tons of cooling/air conditioning to keep this house cool in the summer months. 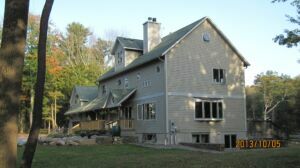 It was the recommendations and expertise of BPC for the insulation and air sealing of our home that will have the extra we paid in insulation paid off in 5 years versus having high heating and cooling bills forever. 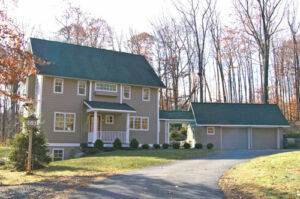 “BPC Green Builders was the builder for our new home, completed in the winter of 2006. 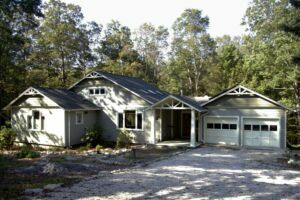 Our goal was to build a home that balanced our personal needs with our commitment to sustainable living. We selected the LEED for Homes program to provide third party verification to ensure that our goals would be realized. Therefore, we were delighted to learn recently that our home has been certified at the silver level by the U.S. Green Building Council (USGBC), becoming one of the first LEED rated homes in the state of Connecticut. We love our new home. The well insulated, air-tight exterior walls contribute to the quiet and energy efficiency. The radiant heating system keeps us comfortable through the winter, with consistent temperatures throughout the house. The boiler is so quiet that we never know when it runs. Last year we used 800 gallons of propane for cooking, bathing and space heating; not bad for 4,500 square feet of living space. Since then, we have increased our use of an air-tight wood fireplace and expect to reduce our propane consumption for the coming year. 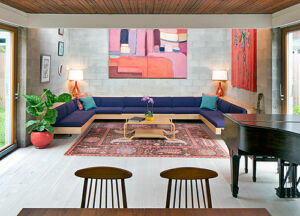 “I have been an architect for 37 years. During that time I have never met a builder as skilled and dependable as Mike Trolle of BPC Green Builders. He is on top of every component of the building process, questioning the quality, technology, sustainability, and cost. In many instances, he elected to exceed our specifications rather than simply meet them. He is at the cutting edge of modern day construction technology. By far, the best house in our portfolio is the one that Mike Built. I have refined the cubic feet #’s for ultimate accuracy and get just a slightly different # than I came up with on the fly yesterday. Blower door test was 965 cfm50 x 60 = 57,900 cf / 46,775 cf house volume = 1.237 / 20 = .062 air changes per hour (normalized)…yesterday we said .059 but then we found that window not totally closed, etc…hell let’s just call it .06! “This firm has known both Chris and Mike Trolle, and BPC Green Builders, almost since they began business. We have acted as Architects for buildings that they have constructed on five occasions over the past 15+ years. Most recently, I have had the particular pleasure of working with Chris Trolle on a particularly demanding “Deep Energy Retrofit” (DER) gut renovation of a mid-century, modern architecturally iconic house in New Haven, Connecticut. Our clients wanted to maintain faith with the original architecture – but to radically improve the thermal performance of a building, which, when constructed in the early 1960’s had the thermal integrity of a tent. Chris worked with our office and our clients from the Schematic Design stage to both develop the design and execute the construction in the most cost effective, durable and finely wrought manner possible. The result is outstanding; at least as much a tribute to his care, attention to detail and unwavering tenacity as it is to the design intelligence of the architect. In all cases, as the project proceeded and problems arose, Chris was attentive to what was going on, intelligent in his assessment of the situation, consistently proposing possible solutions, and always keeping the design team informed and awaiting direction in matters that were properly the responsibility of the architect. “Anyone considering hiring BPC, can be assured that the material selection, construction techniques, and implementation of their building will come under the benefit of his scrutiny. “Our office has had the opportunity to work with Mike Trolle, of BPC Green Builders (BPC), over the past three years in a variety of capacities and on several projects. We began working with Mike in 1999 as his Architects to develop his initial design and produce Construction Documentation for an American Lung Association Health House that he developed speculatively in Roxbury, CT. Since then, we have designed another house in Roxbury, and his company provided construction services for a client of ours in Bethany, CT.
Mike has been tenacious in his efforts to understand and implement the fundamentals and sophisticated techniques of building science. On numerous occasions, he has advanced our understanding, and often pushed the limits of our abilities in the pursuit of the best solutions. Anyone considering hiring BPC, can be assured that the material selection, construction techniques, and implementation of their building will come under the benefit of his scrutiny. As architects, it has also been a sincere pleasure to work for Mike. He is an extraordinary client who has been able to utilize our skills and experience. The working relationship that we have developed is based upon trust and confidence, and has been tested by the realities and trials of construction. “As an architect, I enjoyed working with Mike Trolle of BPC Green Builders. I found him great to work with on a number of levels. Personally, he was prompt, attentive to details, communicative and always open to suggestions. He conducted the project in a professional, open and straightforward manner at all times. He was also a great resource. His knowledge of building performance issues was broad, ranging from Healthy House principals, to energy conservation, to indoor air quality and comfort, to building longevity. 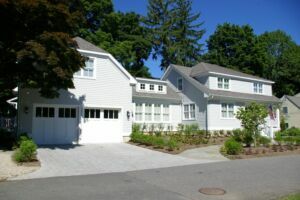 “Our first project, the construction of 4 condominium homes just off of Ridgefield’s Main Street has proven to set new standards for in-fill construction. It is important to note [BPC Green Builders] delivered the project on time and on budget. Our second project, the gut renovation of a 1890’s carriage house into 4 apartments has received a huge amount of recognition for which I am grateful. The residents report great satisfaction with the promised low level of energy consumption proving building green makes a difference. “As an HVAC mechanical contractor for twenty-two years, the last three have been my most rewarding, as we have seen renewed and widespread interest and commitment to solving our nation’s energy issues. BPC is in the forefront of this commitment. Our company has benefited from our professional and personal interaction with Mike and Chris Trolle. From client introduction to final walk through, the drive for total customer satisfaction is clear. Working with Mike and Chris has been challenging, rewarding and, above all, enjoyable. BPC’s commitment to their clients is only second to their commitment to healthy homes and energy conservation. BPC has helped our company and me to grow ever more committed to this philosophy. Whether the homes they have built were trying to achieve any advanced certification or not, they all received the same attention and detail.